GYTA fiber optic cable is used for duct or aerial applications. These aluminum tape armored cables are suitable for installation for long haul communication and LANs, especially suitable for the situation of high requirements of moisture resistance. 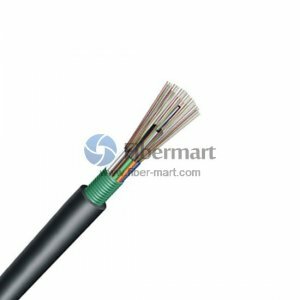 It is the stranded loose tube fiber optic cable with compact structure; the cable jacket is made of strong Polyethylene; High strength loose tube that is hydrolysis resistant. Fiber-Mart provides GYTA from 4 fiber cores to 24 fiber cores. Both single mode type and multimode types are available. We also provide Customized Service such as fiber number, fiber color and cable length, etc.